On Guitar and, when the occasion arises, vocals we have Gerald Sloan aka ‘the Sloan Ranger’. 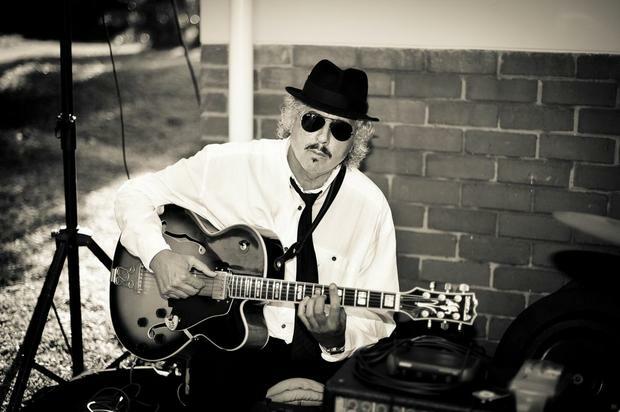 Gerald is the musical powerhouse of the band, bringing with his formidable world class jazz guitar skills and vast musical repertoire a level of understanding and experience that keeps the band on a steady learning curve. Gerald has four original cd’s to his name and was adjudged winner of the YAMAHA, SHEER SOUND and KAYA Fm guitar competition on the 27 March 2002. His music can be heard on P4 Radio. In 2006 Gerald teamed up with Daniel and Logan at their regular gig at then ‘Manna’ and the rest is history. If Gerald cant play it; aint nobody can!